fusion * tango * swing * lindy * weddings * private lessons * Partner Dance and PD * F.A.Q. Dance Kepler classes are open to all open-minded adults, regardless of age, disability, sexual orientation or gender identity. Singles and couples are welcome. Keep up to date by joining our group Seattle Open Role Dance on Facebook. Have fun learning how to connect with a partner and play with any type of music together. 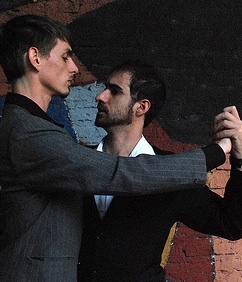 In class we'll be using elements from tango, swing, blues, modern dance, and contact improvisation. All are welcome. Seven weeks: $105 Advance registration and advance payment of the course fee is required and can be done by phone, email, or in-person. Email dancekepler@gmail.com or call/text 425-522-2481. Dancing is an easy and enjoyable motivating way to stay healthy and active. It can improve balance and mood and is fun to learn in a supportive environment. In these sessions, we will use touch, rhythm, and intentional improvisation, to activate our brains and our bodies while strengthening our social connections. Contact Max to learn about volunteer opportunities related to this class. Learn to move with power, assertiveness, and conviction. Understand tango from a new perspective. Prior tango experience required. This group will help you improve your confidence by increasing your success in initiating tango movements. In the process of learning to initiate, you will also find that your tango interpreting skills become more refined. 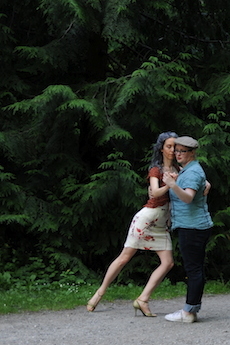 If you are a woman or gender non-binary person who enjoys practicing and dancing tango with other women and non-binary folks, this class is for you. Email Max with questions or to become a member: dancekepler@gmail.com. 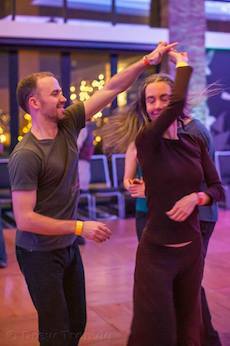 Individual (or small-group) instruction in partner dance, including basic and advanced partnering skills for dance, tango, swing, lindy, blues fusion, and Wedding Dance Preparation is available. Private instruction is a great way to accelerate your learning. Direct coaching gives you immediate feedback, and your lessons are tailored specifically to your skills and interests. Email dancekepler@gmail.com for rates and availablity, or call 425-522-2481. Visit Max's dance bio to learn more about Max's teaching style and philosophy.